More than ever before, our bodies are barraged by chemicals from all around: from the pesticides in our foods, the pollutants in our air, the pharmaceutical drugs in our water supply, and the plastic residues everywhere else. Not only do our bodies need to deal with these exogenous threats from without, it also has to be able to properly metabolize and excrete the waste products created within. Many physiological processes in the body create biochemical byproducts that cannot be recycled and must be disposed of by the body (e.g. 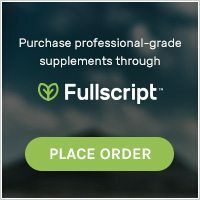 harmful estrogen metabolites, bilirubin from RBC breakdown, etc). In either case – chemicals from within or without – the liver is in charge of transforming this threat into something less toxic & more water soluble so it can then be excreted out of the body by the kidneys. So yes, it is true that our bodies are made to properly dispose of these toxic threats…but were they made to be able to handle such a high concentration from so many different sources? Unfortunately Not — this is one reason why you see such an epidemic of chronic disease in modern society today. Sometimes our bodies, especially our liver & GI, simply need a period of support & rest to be able to catch up on the backlog of toxins that it has accumulated. 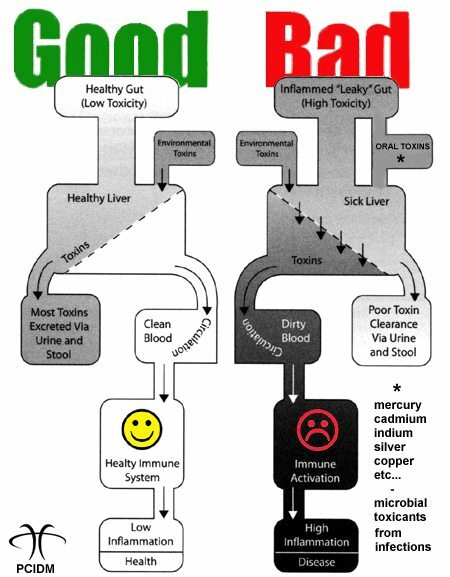 This is why cleansing & detoxifying the body regularly is so important. 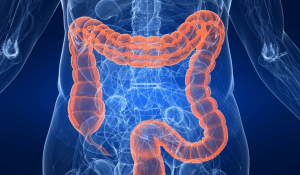 Ready to Explore Colon, Internal, and Parasite Cleansing? Stress, food additives, environmental pollutants and even parasites can disrupt your natural ability to digest and absorb vital nutrition. As toxins, undigested food and other wastes accumulate, the balance and function of the natural systems tasked with purifying, detoxifying and revitalizing your body can become impaired. 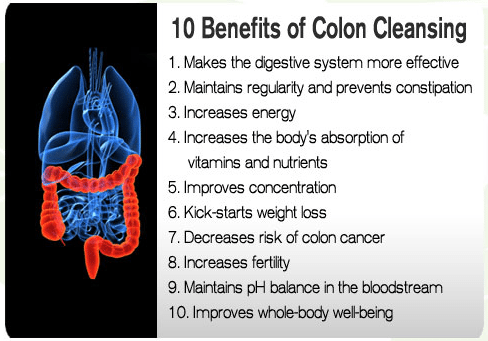 Natural Colon Cleansing helps purge your body of built-up waste, improving nutritional uptake while expelling toxins at the same time. 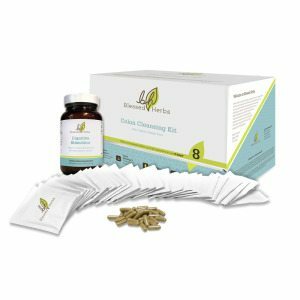 The cleansing process supports digestive health and optimizes digestive function, but can also naturally revitalize and rejuvenate your liver, lungs, kidneys and other vital organ systems in the process. 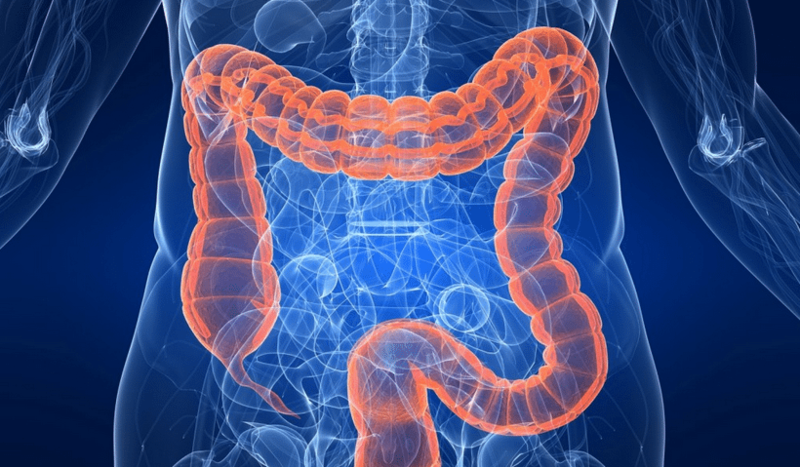 Restoring your digestive health is the most important step to reasserting the natural internal balance necessary for improved nutrition, immune function and overall well-being. 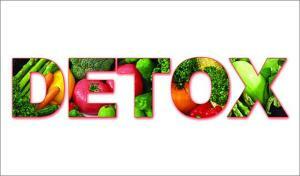 Contact Integrative Wellness Rx today to learn more about the best cleansing solution for you & your body! There’s been lots of buzz about vitamin D in the last decade and is regarded by some as a “Super Nutrient” with a multitude of broad benefits. Is this all just media hype? 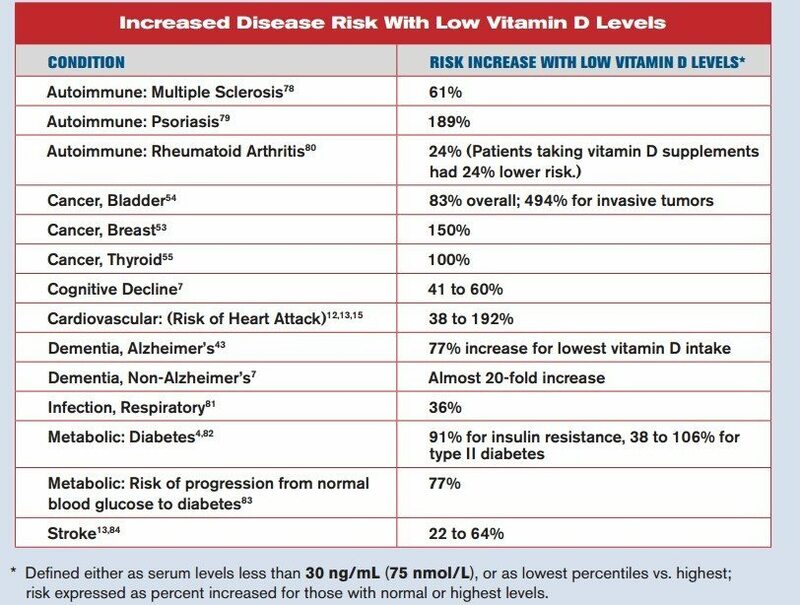 In my opinion, vitamin D is the real deal and its prime importance in health is supported by loads of literature & the evidence continues to grow. 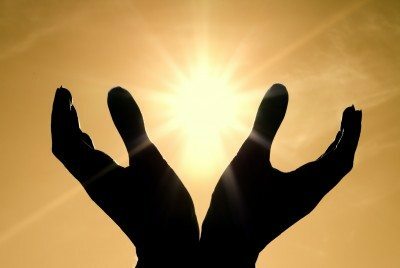 This article will shed some light on the importance of optimizing your vitamin D level, how to most effectively do this, which form of vitamin D is best, how to get your vitamin D level checked & much more. 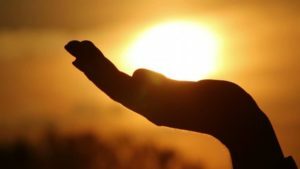 According to recent studies, over 75% of the population has inadequate levels of vitamin D in their blood & this percentage has continued to rise significantly over the last two decades. Furthermore, over 40% are classified as dangerously deficient with levels under 20 ng/mL. This sort of deficiency is especially common in Black & Hispanic populations, with 82.1% and 69.2% being deficient, respectively. With statistics like these, it’s safe to assume that adding some additional vitamin D into your life is a good idea! Did you know that vitamin D is actually a potent hormone that regulates the expression of hundreds of genes that are essential to your physiological & psychological well-being? Well, that’s just the tip of the iceberg! 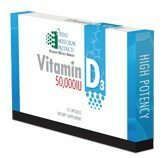 A recent meta-analysis of 50 randomized controlled trials has confirmed that supplemental vitamin D3 significantly reduces all cause mortality. Modern medicine has always recognized vitamin D’s role in calcium absorption and is finally even coming around to its benefits on immune health & cancer protection. But now, we are finding that vitamin D can help with heart failure, protect against heart attacks & reduce the risk of death from both cardiovascular & overall causes! Numerous studies show an inverse association between lower respiratory tract infections and vitamin D levels. That is, the higher your vitamin D level, the lower your risk of contracting colds, flu, and other respiratory tract infections. Vitamin D not only boosts immunity but also indirectly induces the synthesis of over 200 antimicrobial peptides, the most important of which is called Cathelicidin, a naturally occurring broad-spectrum antibiotic. This is one reason why it can be so effective against colds & influenza. Who needs a synthetic antibiotic when you can simply stimulate your body’s production of its own! This is the ideal way to stimulate adequate vitamin D production. *All you need is 10 to 20 minutes of direct sunlight daily depending on where you live, time of day, season and how dark your skin is. The darker your skin is, the more time in the sun is needed for adequate production. Remember, vitamin D is synthesized in the oil of your skin and has to be absorbed first to be converted to its active form & utilized. So don’t wash off all the oils of your skin after sunbathing! Eat vitamin D-rich foods such as herring, duck eggs, bluefin tuna, trout, eel, mackerel, sardines, chicken eggs, beef liver and pork. Most milk is NOT a good source of vitamin D, however, because it contains the wrong form (see below for more info). Most people do not eat enough vitamin D-rich foods and don’t get enough daily sunlight either because of where they live or the modern indoor lifestyle. And often, even those that do have the healthy latter habits, are still deficient. This is why supplementation, especially in Fall & Winter months is so important. Just make sure to always take your vitamin D supplement with food that has some fat contents. This way, you will maximize absorption of the vitamin D since it is fat-soluble. All Vitamin D Isn’t Equivalent…Be Sure To Choose the Right One! There are two main forms of this vitamin – D2 & D3. D2 is a fungus/yeast-derived product & D3 is synthesized from the lanolin in sheep’s wool. Vitamin D3 is a more active form that has greater efficacy in raising & maintaining proper levels. Furthermore, a meta-analysis performed in 2011 showed that while supplementation with vitamin D3 was associated with a 6% relative risk reduction in mortality, supplementing with vitamin D2 showed a 2% relative risk INCREASE in mortality. So not only is D2 not as effective…it may also be bad for you! Unfortunately, most milk is fortified with D2 & the high-dose prescription that your doctor will likely prescribe you is the wrong form as well! Traditionally, the Recommended Daily Allowance (RDA) for vitamin D is a measly 400 IUs. This is certainly enough to ward off a serious condition like Rickets, but is it enough for optimal functioning & well-being? Definitely not. Experts recommend anything from 2 – 5,000 IUs per day for adults & children over 10. But this is typically a maintenance dose & especially if you are deficient, a much higher dose could be recommended. The best way to individualize the dosage that your body needs particularly is through vitamin D level testing. Typically, you want to start supplementing with vitamin D at least 1-2 months before Winter starts to increase your level to the optimal range before the incidence of colds & flus start to increase. To elevate levels faster, patients often are prescribed a high-potency, once-weekly dose of 50,000 IUs. But again, what you get from the pharmacy is the inferior D2 form. Fortunately, I found a company who makes an equally potent product of the D3 form that is also much cheaper! Since a vast majority of the population is highly deficient & the risk for toxicity with practical dosing is relatively low, you can safely start supplementing to raise your level without testing. However, testing for your actual vitamin D level can inform you if you are dangerously deficient so you can be more aggressive with your dosing to increase levels faster. In addition, testing allows you to individualize & ascertain what dose of vitamin D your body specifically needs to be in optimal range. Note, there are different types of vitamin d level testing, so make sure you seek advice from a qualified healthcare professional that will order the right one. David C. Morcom, PharmD. 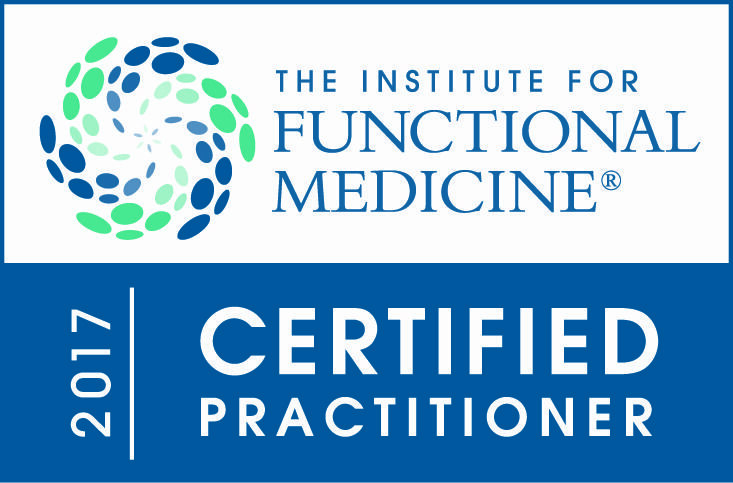 Doctor of Pharmacy & Certified Herbal Specialist Dr. Morcom is a practitioner of Functional Medicine fusing traditional herbalism with his knowledge in pharmacology, pathophysiology & the newest research in herbs & nutrition Dr. Morcom is certified in Medication Therapy Management (MTM), is a Certified Herbal Specialist & has specialized knowledge in Bioidentical Hormone Replacement Therapy. 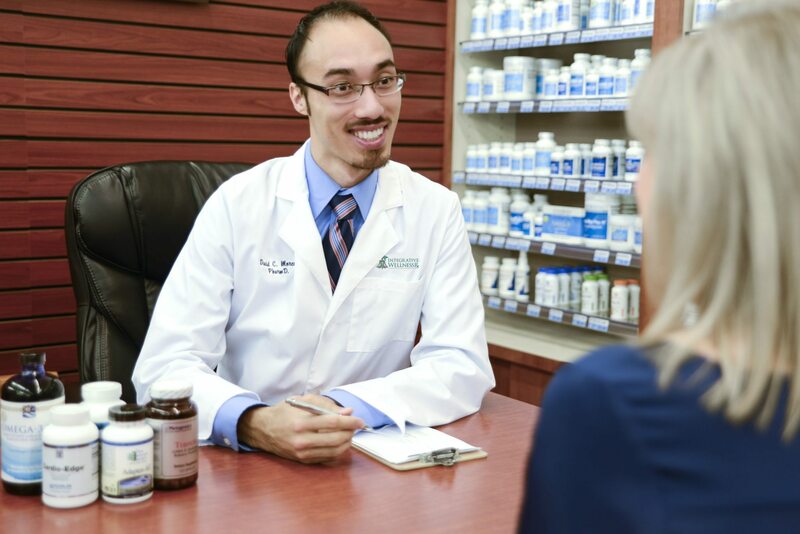 With an integrative approach, he enjoys assisting patients achieve optimal health using a range of herbs and nutritional supplements as his medicinal allies. He has a strong dedication to patient care and is driven by the fulfillment he receives from helping others. Adrian F Gombart. “The vitamin D–antimicrobial peptide pathway and its role in protection against infection” Future Microbiol. Nov 2009; 4: 1151. Bjelakovic G, Gluud LL, Nikolova D, Whitfield K, Wetterslev J, Simonetti RG, Bjelakovic M, Gluud C. “Vitamin D supplementation for prevention of mortality in adults” 2011 Jul 6;(7):CD007470. Forrest KY1, Stuhldreher WL. “Prevalence and correlates of vitamin D deficiency in US adults.” Nutr Res. 2011 Jan;31(1):48-54. Michos, E. Blumenthal, R. “Vitamin D Supplementation and Cardiovascular Disease Risk.” Circulation.2007; 115: 827-828. The cause of gastrointestinal distress & inflammation is not the “too much acid” culprit everyone thinks it is…it’s actually quite the opposite! Confused? 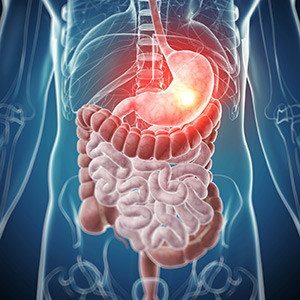 Isn’t it common knowledge that TOO MUCH stomach acid is what causes these problems? Let me explain why it’s the reverse that is actually true. If one does not produce enough hydrochloric acid to be able to digest the foods they eat, the foods actually stay in the GI tract for longer than they should leading to putrefaction of the undigested food. This internal “rotting” produces numerous organic acids which are the true root of heart burn & indigestion. Acid-suppressing drugs alleviate symptoms because they neutralize these organic acids. However, they only exacerbate the underlying problem by increasing alkalinity of the stomach which leads to a reduction in nutrient absorption and a whole host of other problems. Traditionally, the foods that you eat contain in them the enzymes that are necessary for their own digestion. The processed foods that most people sustain themselves on, however, are completely deficient of these crucial enzymes & this is the big problem. Enzymes act as the biochemical machinery that break down the proteins, fats & carbs that we ingest, and provide numerous other roles in controlling inflammation & other metabolic processes. While our bodies can make many of these enzymes endogenously, this can be strenuous for the body if we do not also get enzymes from our diet. Fruits such as papaya & pineapple, leafy-green vegetables, apple cider vinegar & other raw foods are the best sources of these enzymes. It is important that these foods be eaten raw because enzymes are very sensitive to heat & can be easily destroyed by the cooking process. If the absence of sufficient quantities of acid & enzymes is the problem, than the solution is to simply replace these through diet modification, stress management and nutritional support & supplementation. Taking digestive enzymes & nutritional supplements that stimulate acid secretion with each meal is the start. This corrects the deficiency and takes pressure off the stomach in order to give it the time & energy it needs to heal itself. This by itself can do wonders for one’s condition if there is no ulceration or damage already done to the gastrointestinal lining. In this case, herbs/supplements to reduce this inflammation & aid in healing of the GI mucosa will be necessary as part of treatment. Please contact me today if you would like more in-depth guidance on a similar condition or would like to get my recommendation on the highest quality supplements with the most research to address these specific issues. Even when we’re not at work, we’re on the clock – our biological clock, that is! Our circadian rhythms are 24-hour cycles of physiological, mental & behavioral changes that influence our sleep-wake patterns, hormone production, hunger & even cell regeneration. By learning how to live in accordance with our own natural rhythms, we can normalize our sleep patterns leading to increased vitality & health. Melatonin synchronizes our internal ‘biological clock’ to the stimuli of the external world, giving our bodies clues to what time of day it is & when to perform particular physiological functions. When nightfall approaches, melatonin starts its release by the pineal gland causing increased tiredness eventually leading to sleep. However, melatonin production only occurs in darkness & is directly inhibited when light hits the retina of our eyes. Therefore, you can see why modern electricity & lights are so disruptive to maintaining our natural circadian rhythms. Sleep in COMPLETE darkness. Even the slightest bit of light in your bedroom can interfere with your biological clock & hinder melatonin production. Without melatonin, we cannot enter the deeper stages of sleep such as REM that are so incredibly restorative to our bodies & minds. 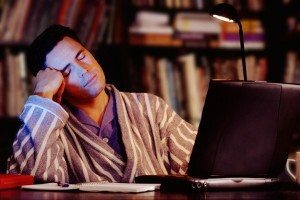 Avoid watching TV or using the computer in the evening, at least an hour or so before bed. These devices trick your brain into thinking it’s still daytime hindering melatonin secretion which normally begins between 9 and 10 pm. Always go to sleep before 1-2 am. Have you ever been really tired but then suddenly got a boost of energy allowing you to stay awake? This “second wind” is actually the body releasing cortisol — which unfortunately, directly inhibits the production of melatonin and thus interferes with sleep quality & onset. “Nocturnal” sleepers who stay up past this time have been shown to need more sleep yet feel less restored on arising. Reduced melatonin secretion is why! Get sunlight right in the morning after waking. Your circadian rhythms need ten to fifteen minutes of bright light in the morning to synchronize itself. This will reduce grogginess during the day & make it easier to sleep at night! Make sure you get enough sun exposure daily. Natural sunlight boosts the production of our “happy hormone”, serotonin, which in turn is used to produce melatonin at night. So if we don’t get enough sunlight during the day, we won’t produce enough melatonin at night! Did you know that melatonin has numerous anti-aging properties, is one of the body’s most potent antioxidants and provides protection against cancer & cognitive decline, as well? But did you know that as we begin to age, we inescapably begin to produce less of this vital hormone? Many times, lifestyle modification alone cannot increase melatonin levels enough to reap all the benefits of a good night’s sleep. Especially if more advanced in age, melatonin supplementation should be considered. Take 30 to 45 minutes before bed. More is not necessarily better! The typical dose is 3 to 5mg. But many people need nearly 10mg & many others need less than 1mg. Studies have confirmed that when taking more than your body needs, it can actually disturb sleep when the abnormally high melatonin concentration rebounds back downward. So please start low & begin to taper up from there. Do not take if already too late in the night. Like many other sedatives, this increases the chance of experiencing drowsiness the next morning. It has also been shown that melatonin supplementation is less effective if taken at a time when the body has started producing its own already. Jet Lag: Reset your biological clock by taking melatonin right before bed (10 to 11pm) for the first couple of nights in the new time zone. 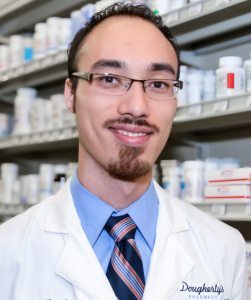 Reduce nighttime awakenings: Do you often wake up in the middle of the night even after using hypnotic medications to fall asleep? Consider adding melatonin to your sleep regimen for improvement. Ultimately, melatonin orchestrates the shift from the action-oriented nature of the waking world to the rejuvenating potential of the realm of sleep. Are you maximizing this rejuvenating potential?!? The Cold & Flu season is coming upon us…learn how to protect yourself naturally & effectively below! Often times, patients will wait until their symptoms become unbearable & then attempt to use over-the-counter (OTC) drugs to alleviate their symptoms. But did you know that there are supplements you can take that will actually reduce the overall duration & severity of your cold as well? I would like to focus on natural products that been shown to boost immunity & some that have antimicrobial properties as well! These are the most commonly used herbs for stimulating the immune system. These herbs work by proliferating & activating the white blood cells that ultimately destroy invading pathogens. Some, like elderberry, have direct antimicrobial effects in addition. 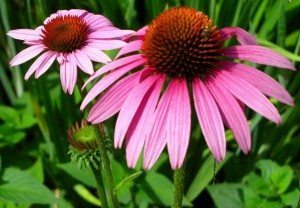 Clinical studies have shown these herbs to reduce both the severity & duration of the common cold. A surprisingly potent & effective remedy with broad-spectrum antimicrobial activity. This means it kills bacteria, viruses, fungi & parasites alike! This is my favorite remedy of the season, especially for sore throat. Take just 2-3 drops in a mouthful of water; swish & gargle for a couple of minutes & swallow it down. Daily dosing is fine for prevention, but if acutely ill, repeat every few hours. Both of these nutrients help maintain a healthy immune system & may reduce cold duration. Additionally, zinc has intrinsic antiviral properties that prevent viral replication & attachment to cells in the nasal passages. And by reducing histamine & other mediators of inflammation, zinc can also diminish many upper respiratory tract symptoms. The key to using these nutrients is to dose them in sufficient quantity & frequency every couple of hours throughout the day. Lozenges are great for this purpose. Did you know that vitamin D influences the expression of over 200 genes & is essential to a healthy immune system?! Most people today do not get nearly the amount of daily sunlight necessary for optimal vitamin D levels. This is why supplementation in the months leading up to winter is so important. Depending on the level of deficiency, individuals should take 5-10,000 IUs of vitamin D per day starting at least 2-3 months before the winter season begins. Clinical data shows that higher vitamin D levels are associated with a decreased risk of contracting a seasonal viral infection. There is also some evidence that taking a mega-dose upwards of 50,000 IUs can be used to boost immunity during an active infection. Probiotics are defined as living microorganisms that confer health benefit to the host when administered in adequate amounts. By ingesting lots of “good” microorganisms, this prevents “bad” ones from taking over. This delicate balance in our gut is essential to maintaining a healthy immune response & preventing infections in the first place. Take on an empty stomach, otherwise potency will be reduced due to acid destruction. Antibiotics don’t just kill the bad bacteria…but the good ones, too! The resulting microflora imbalance weakens the immune system & puts patients at increased risk for reinfection in the future. That’s why it is so important to supplement with probiotics for a couple weeks after any course of antibiotics. And here’s a tip, supplementing with probiotics during antibiotic therapy can reduce many of the gastrointestinal side effects (nausea/diarrhea) as well! To do this most effectively, one should take their daily probiotics 2 hours before or 3-4 hours after their antibiotic dose. Because of this, I often recommend taking probiotics at night before bed. With all the natural remedies listed above, it is important to take aggressive action promptly when the viral count is still relatively low & symptoms are mild. That means taking frequent & high doses immediately upon experiencing the beginning stages & symptoms of a cold. This is why I always recommend to have a few of these supplements ready at home for use…especially during the winter months! *For more information on dosing, which specific combination of products are right for your condition or if you’d like to order some of the above mentioned supplements at a discount, please contact me here.